Nancy Cartwright is one of the most distinguished and influential contemporary philosophers of science. Despite the profound impact of her work, there is neither a systematic exposition of Cartwright’s philosophy of science nor a collection of articles that contains in-depth discussions of the major themes of her philosophy. This book is devoted to a critical assessment of Cartwright’s philosophy of science and contains contributions from Cartwright's champions and critics. Broken into three parts, the book begins by addressing Cartwright's views on the practice of model building in science and the question of how models represent the world before moving on to a detailed discussion of methodologically and metaphysically challenging problems. Finally, the book addresses Cartwright's original attempts to clarify profound questions concerning the metaphysics of science. 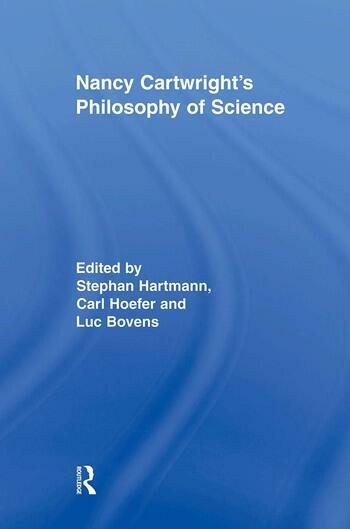 With contributions from leading scholars, such as Ronald N. Giere and Paul Teller, this unique volume will be extremely useful to philosophers of science the world over. Stephan Hartmann is Chair in Epistemology and Philosophy of Science in the Department of Philosophy at Tilburg University and Director of the Tilburg Center for Logic and Philosophy of Science. Luc Bovens is Professor of Philosophy, Logic and Scientific Method at the London School of Economics.